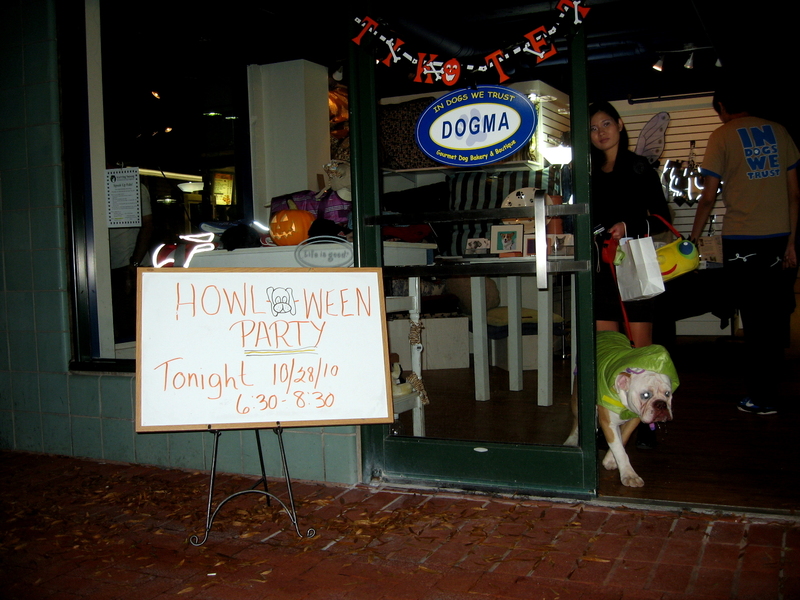 More than 50 bags of dog food were donated to Lucky Dog Animal Rescue Thursday night at the Howl-o-ween party hosted by Dogma Bakery and Fur-Get-Me-Not in Shirlington Village. 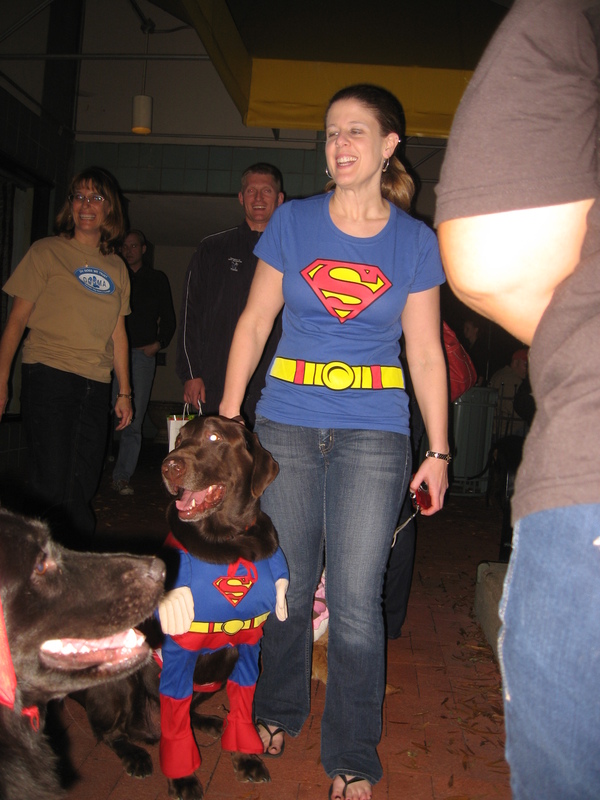 Dozens of costumed dogs and their owners converged on Dogma to make a donation and pick up their map of businesses participating in the event. 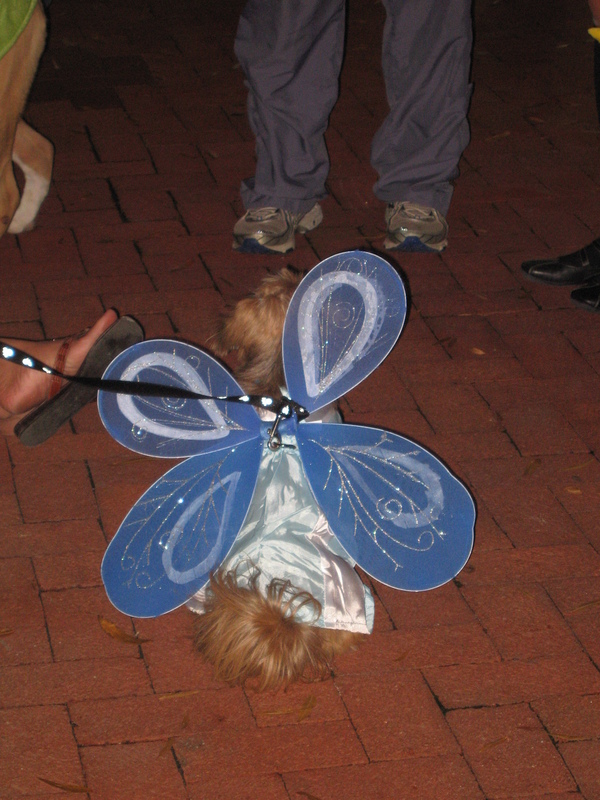 The diners at the restaurants with outdoor tables got to enjoy the parade of angels, bumblebees, banana splits, fairies and more. 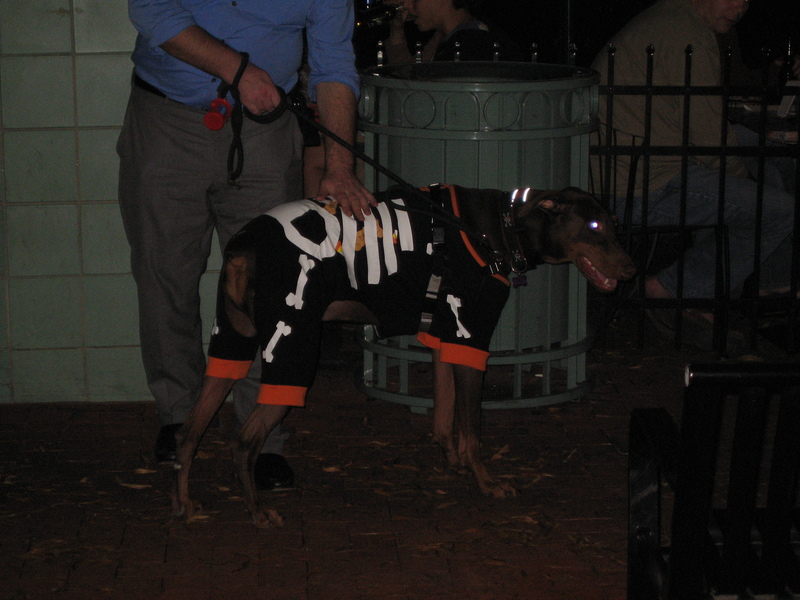 Illusions Salon, Verbena, Le Village Marche, AMC Loews Movies, The Curious Grape, Bungalow Billiards and INSIGHT Imaging Center all had a variety of baked dog goodies as the dogs made their rounds. 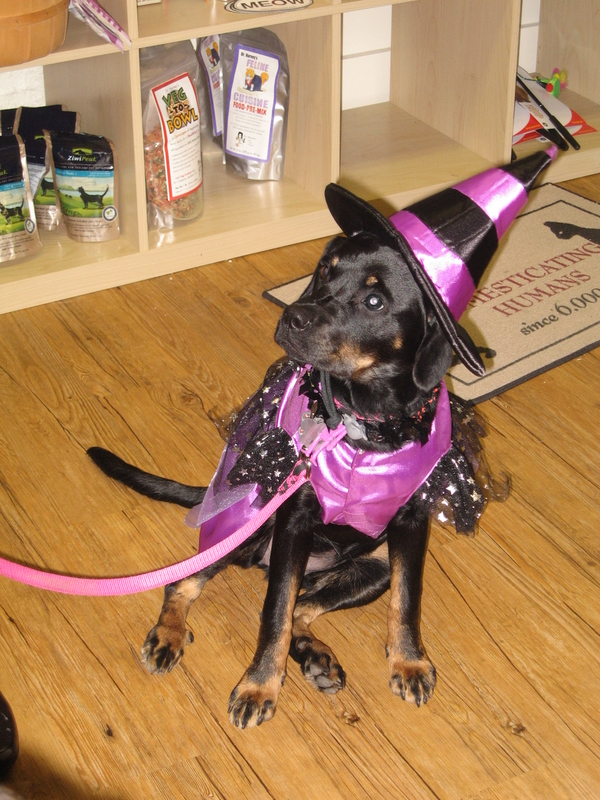 Prizes were given for the Best Owner & Dog, Scariest and Cutest costumes. 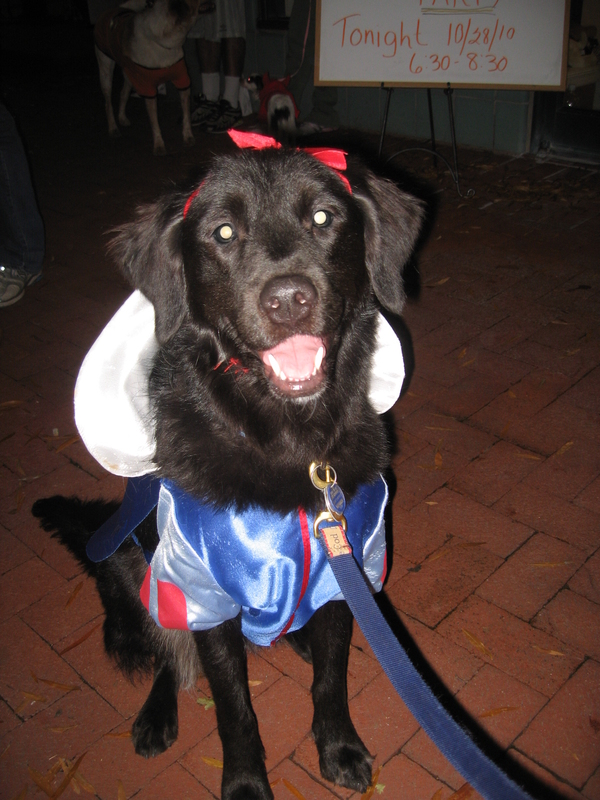 I’m proud to say Sundae as Snow White won for Cutest, and we took home a $25 gift certificate from Fur-Get-Me-Not! 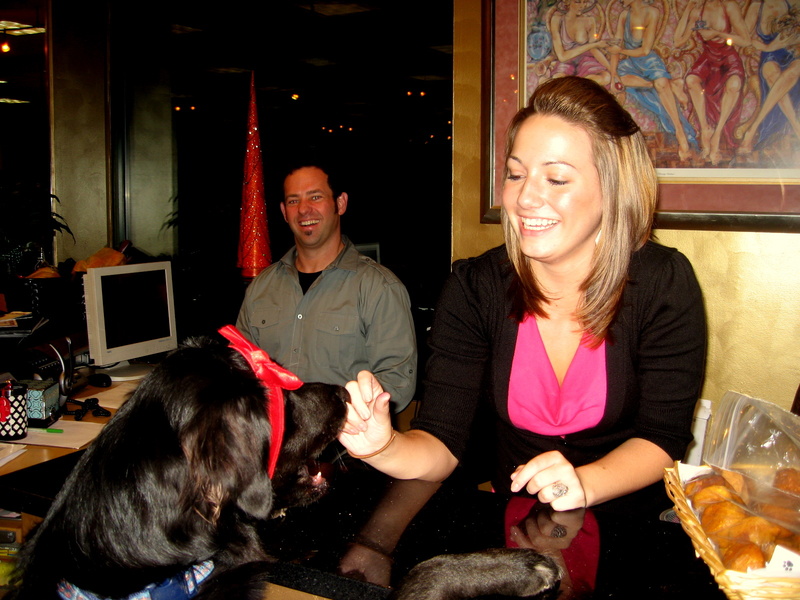 The Lucky Dog Animal Rescue raffle prizes included gift certificates from Dogma and Bungalow Billiards. 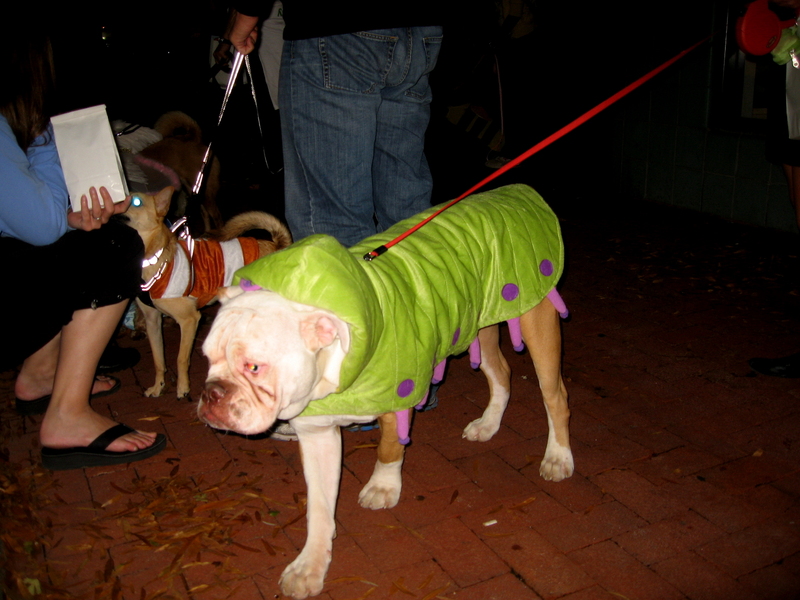 See more pictures of great dog costumes below, and check out the Shirlington Village blog for more pictures from the event.